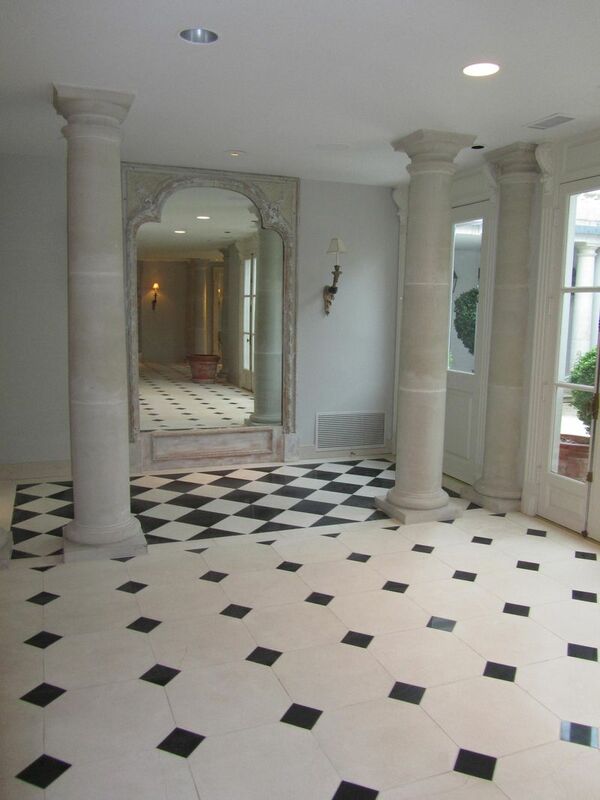 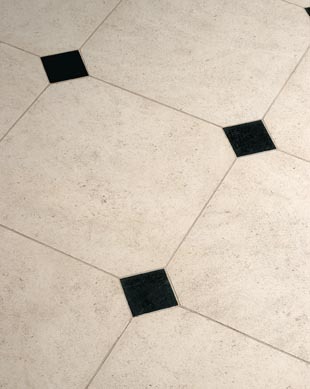 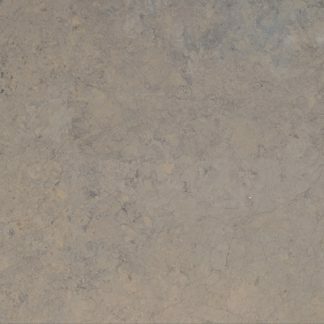 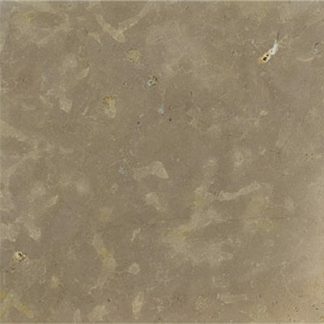 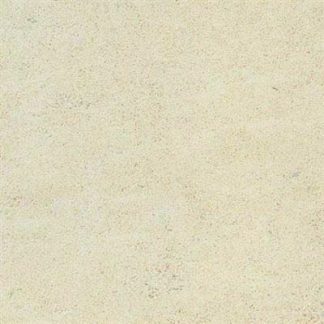 This beautiful French limestone is a hard material. 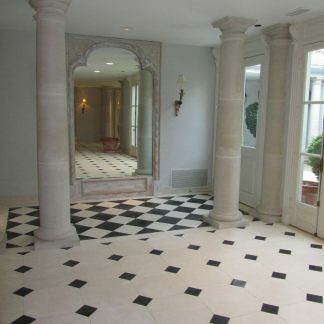 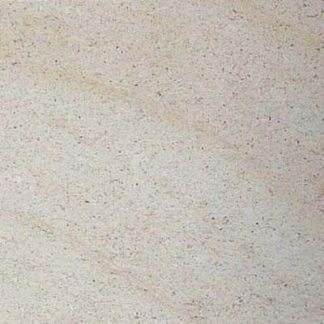 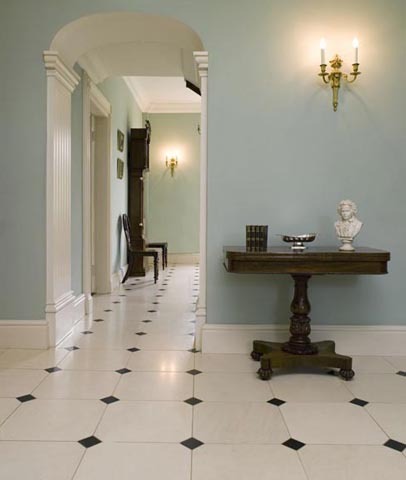 An even off white coloured French Limestone, with some shells which ages in such a way as to add an air of permanence and grandeur. 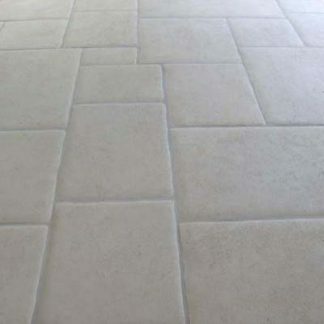 This is available in 400 x 400 x 20mm with either 4 corners clipped (as photo) or one corner clipped which is a less fussy arrangement and looks better on large floors.